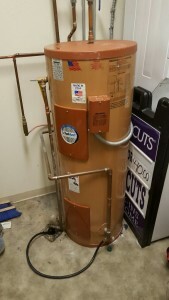 I just finished installing a new hot water heater at SuperCuts in Bristol. 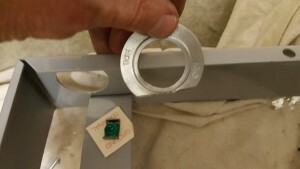 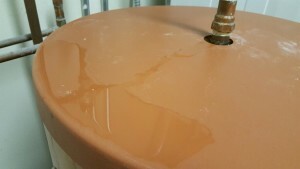 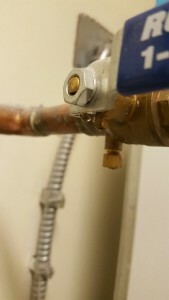 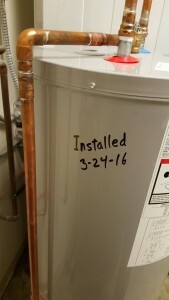 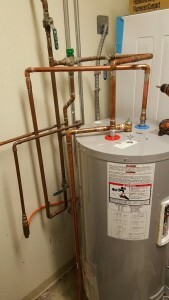 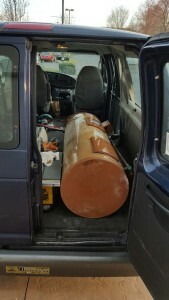 The install took longer than a typical hot water heater usually takes. 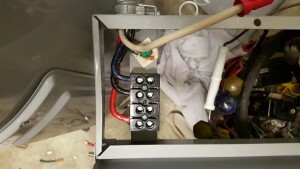 The piping was a little tricky and the electrical hookup was just crazy. 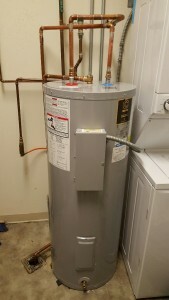 The wiring which had to be fed into the hot water heater was so large that I had to remove and dismantle the electrical box, attach the wiring, then reassemble and reinstall it onto the hot water heater. 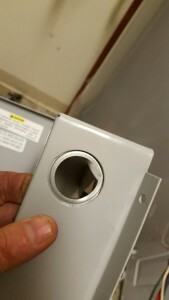 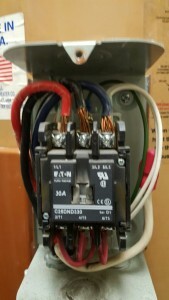 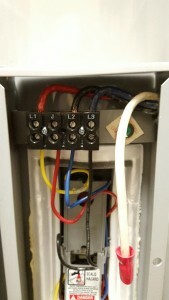 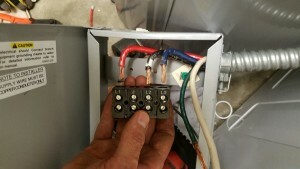 Though the HO Smith water heater was a great unit, the electrical box was poorly designed. 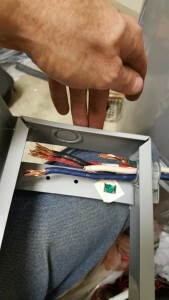 The wire connections were too close to the top of the box which didn’t allow room for the wires, which is why I had to dismantle it.